UpMetrics provides tools and services for programs and funders to analyze, interpret, and learn from data to make informed decisions, build capacity, and tell their stories. 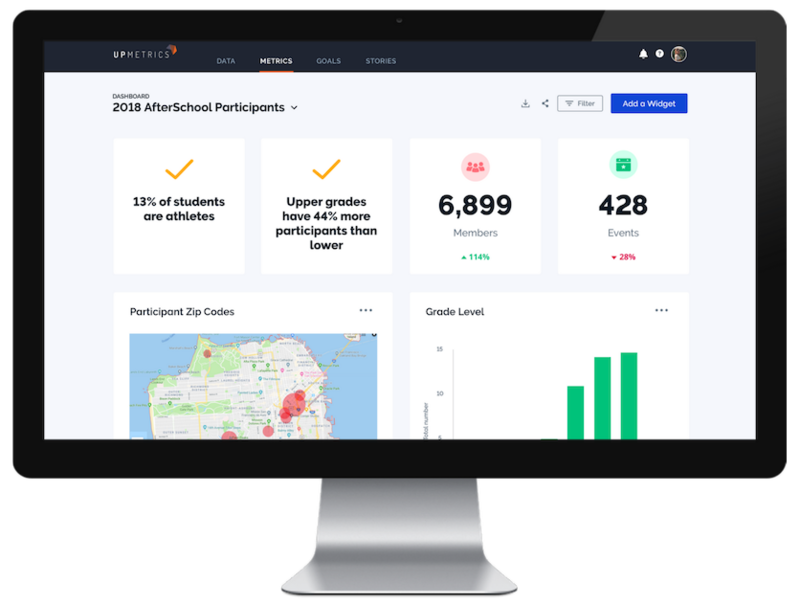 "UpMetrics has substantial experience working as a trusted partner with education systems and their leaders and staff. This allows for straightforward collaboration to get to the data, and for timely and spry analysis and reporting to our Coalition members, stakeholders, and to the communities in which we work." What Does 'Impact Reporting' Mean? ​UpMetrics Impact Reports are essential tools for organizations to share program goals, reach, and statistics highlighting quality and effectiveness in an easy-to-read format. ​​We partner with community based organizations, nonprofits, schools, afterschool providers, and funders making a difference for participants all over the world.